Commissioner David Hudson, National Commander of The Salvation Army USA, has appointed Lt. Colonels Ward and Michele Matthews to serve as National Community Relations and Development Secretary and National Director for White House Relations, respectively. In his new role, Lt. Col. Ward Matthews will also serve as the organization’s national spokesperson. 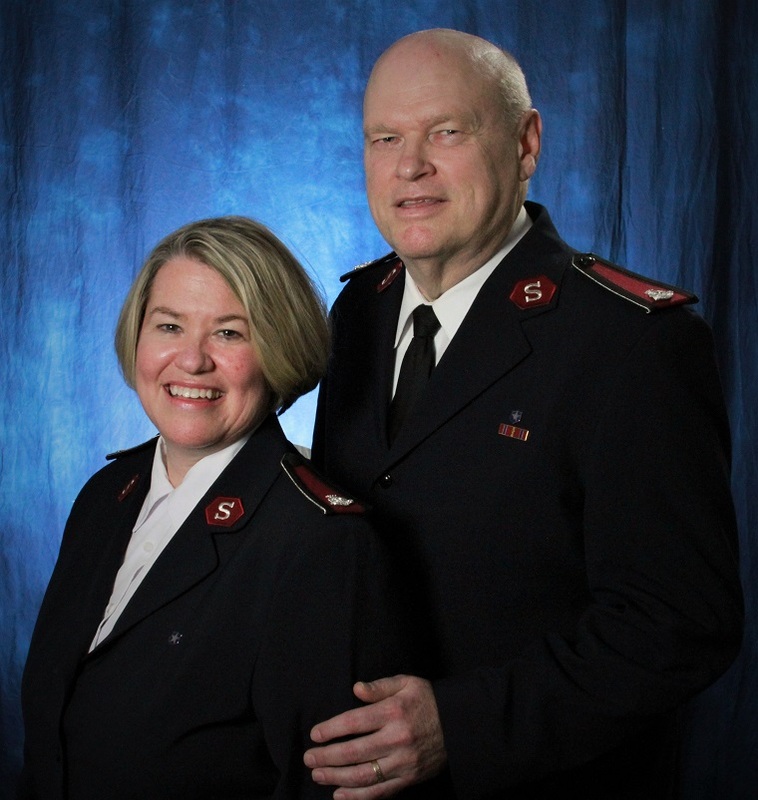 Lt. Col. Ward Matthews most recently was legal secretary, and Lt. Col. Michele Matthews was the Pathway of Hope director, both for The Salvation Army USA Southern Territory in Atlanta. Before those appointments, they served in leadership roles with the Dallas-Fort Worth Area Metroplex Command, Caribbean Territory, and Charlotte Area Command. That experience includes responsibility for more than 450 corporate partnerships during their time as Area Commanders in the Dallas-Fort Worth Area, including the Dallas Cowboys, which has raised more than $2.2 billion for The Salvation Army. They were also founding officers of The Salvation Army’s Echelon organization, now with 19 chapters across the country, which provides a forum for young professionals to engage in their respective communities. Both Lt. Cols. have extensive experience working alongside first responders with The Salvation Army’s Emergency Disaster Services (EDS). At age 9, Ward volunteered on a Salvation Army mobile kitchen with his father in the aftermath of Hurricane Camille. Since that experience, Lt. Cols. Ward and Michele have served survivors and first responders of catastrophic events like Hurricane Ike, Hurricane Floyd, the Oklahoma City bombing, and the 9/11 World Trade Center attacks. Michele also served as the Caribbean Territory EDS director and as the EDS logistics coordinator for the Carolinas. Through his new appointment, Lt. Col. Ward Matthews hopes to find new partners and new methods for ending poverty in our lifetime. In her role, Lt. Col. Michele Matthews will direct relationships with the Executive Branch of the United States government, the most prominent being the White House. Lt. Col. Ward Matthews graduated Phi Beta Kappa with degrees in history and religion from Emory University before being commissioned as a Salvation Army officer in 1984. Lt. Col. Michele Matthews earned dual degrees in psychology and social services from Asbury College and a degree in nursing from Johns Hopkins University. Lt. Col. Michele Matthews was commissioned as a Salvation Army officer in 1999.